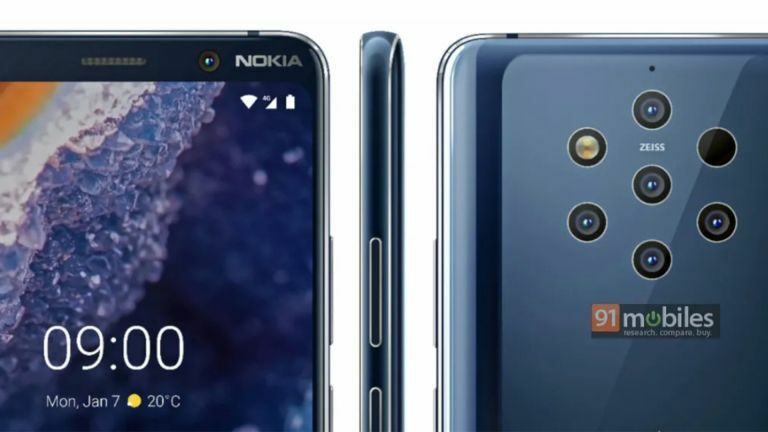 The Nokia 9 PureView has leaked again ahead of its expected imminent MWC 2019 reveal and it's sporting that stunning penta camera system we've all been waiting for – well, everyone but the Samsung Galaxy S10, it's likely been dreading it. The downside here is that the screen isn't the all-screen display with a water-drop notch, or no notch at all, as is expected to feature on most new phones revealed at MWC at the end of February. But it looks like that small top and bottom bezel will be a small price to pay for the camera.